This video for “Song for Someone” is a short film, and like “Every Breaking Wave” before it, U2 were not involved with filming the video, nor do they appear in it. The video is directed by Vincent Haycock, and stars Woody Harrelson and his daughter Zoe. The video was filmed on April 24 and 25, 2015 in Los Angeles.The video is almost nine minutes in length, and focuses on Harrelson’s character, Aaron Brown, who is being let out of prison. Waiting for him outside the prison is his daughter, played by Harrelson’s real life daughter Zoe. The audio of the song starts at about 2 minutes into the video, and ends at 5:30. The rest of the video is made up of the dialog and sound of the film, although a small instrumental piece from the song plays over the credits which run for the last 01:17 of the video. The video premiered as part of the third-season premiere of “Rectify” on SundanceTV. After the premiere, the video was shown in full. It was also posted to the SundanceTV website. A 15-second trailer for the film was released on July 6, 2015. 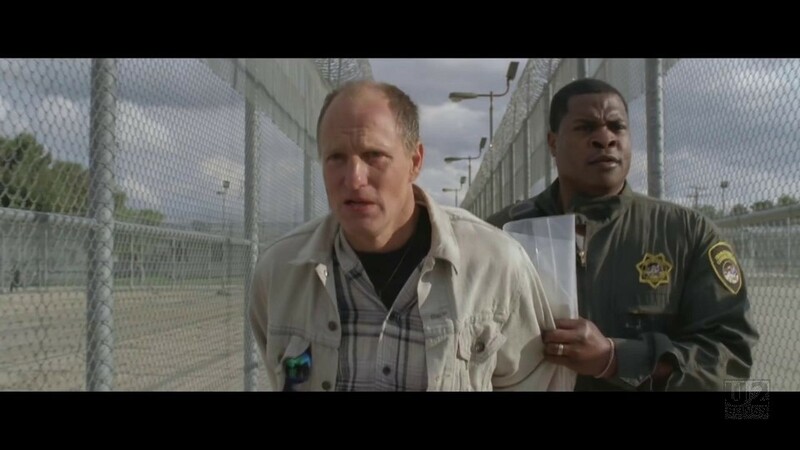 Directed by Vincent Haycock, cinematography by Steve Annis and produced by Pete Vitale & Park Pictures, Song for Someone features Woody Harrelson as a man being released from prison after years of incarceration and features his daughter Zoe Harrelson. The piece thematically links to RECTIFY, SundanceTV’s Peabody award-winning series that follows the story of Daniel Holden and his family as they struggle to move forward after Daniel’s release from 19 years on death row. The video was uploaded to facebook on July 12, 2015. A 4:30 “Song for Someone (Behind the Scenes)” video was also uploaded at that time. Unlike “Every Breaking Wave” a shorter video for promotion of the song was not edited from the original footage. At this time the video has not been released on any commercial U2 video release. "U2 - “Song for Someone” Digital Single"
"U2 - “Song for Someone” Promotional Release"